In today’s English class, we have done some research on two books. 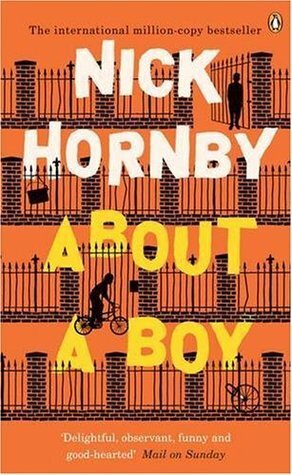 About a boy, written by Nick Hornby and A true story by a Part-time Indian by Sherman Alexie. I chose the book About a boy, based on the research we had done earlier of the day in class. I expect it to be, exiting, a little bit of humor, and a book that is easy to understand. I think I have an idea of how the book goes, but the one way to find out is by reading it. My first impression of the book is that its OK to read, a little bit hard to understand because it switches between different point of views. I think that you have to read the book every day to don’t get out of the book and stay focused all the time. This is gonna be hard.